Located within a 10-15 minute walking distance from the centre of Aviemore and situated on the Aviemore Orbital Footpath, an ideal starting point for any walking/cycling in the area, this stylish and modern 2 bedroom fully equipped townhouse with garage is perfect for a short break or holiday, allowing you to explore the Cairngorms National Park and enjoy its' close proximity to the hub of Aviemore. 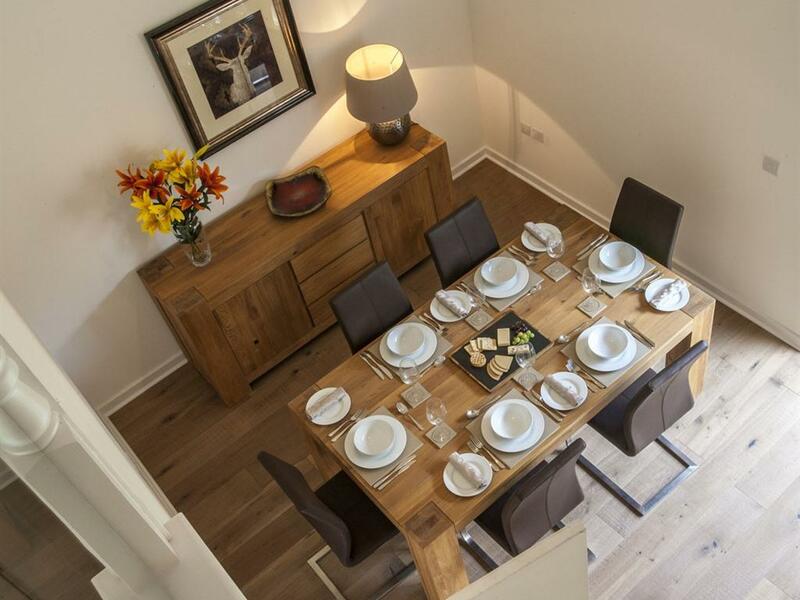 Description of Property: Downstairs: Open plan lounge/dining area with smart TV, lovely high ceiling and patio doors leading to a small enclosed garden laid in artificial grass. 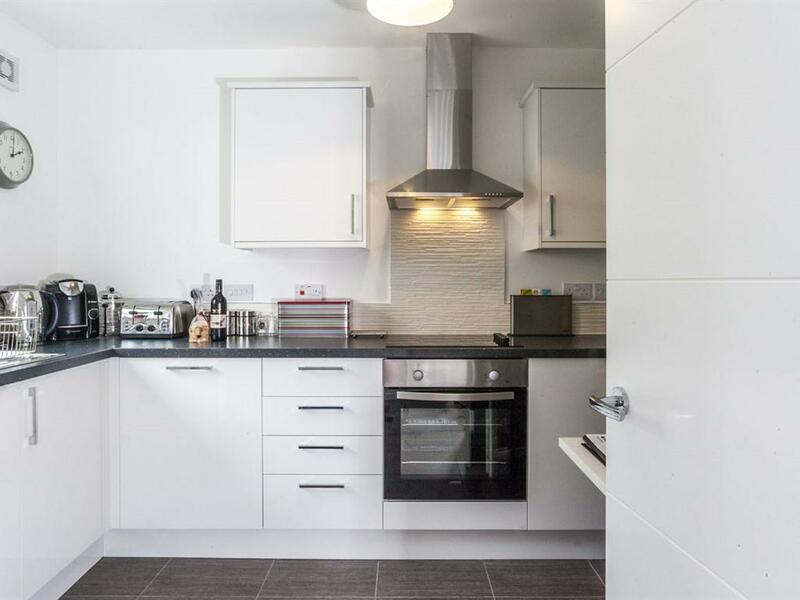 Fully equipped dining kitchen with dishwasher, washer/dryer, coffee machine, microwave etc. 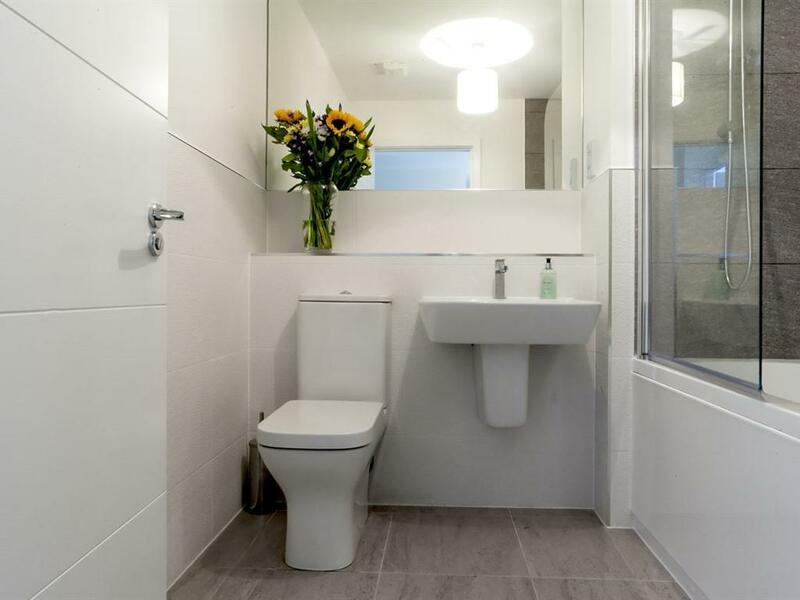 Cloakroom with WC, wash handbasin and heated towel rail. Upstairs: Double bedroom with kingsize bed, fitted wardrobe, wall mounted smart TV. Twin bedroom with two single beds, fitted wardrobe, wall mounted smart TV. (It is possible to request an additional single fold up bed if required) Bathroom with bath, overhead shower, WC, washhand basin and heated towel rail. On the upper floor, there is a glass balcony overlooking the lounge/dining area. Garage: Secure space for storing bikes, skis, outdoor clothing/equipment or small car. All linen and towels are included. Cot and highchair available on request (Please bring own linen for cot) A good housekeeping bond of £300 will be taken in advance and will be refunded once the property has been checked for damage or breakages.